The Victoria Falls is different from the other waterfalls on the island. the color of the water is grayish. 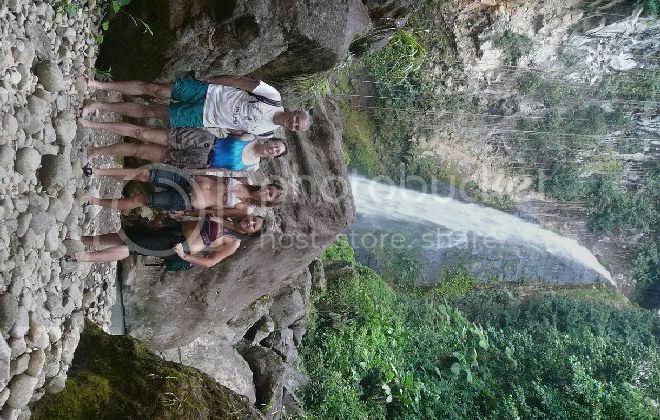 We access this waterfall form the village of Delices in the south east of the island. valleys, villages, coastlines and panoramic vistas. It involves walking on huge boulders and crossing the river several times. You will not be disappointed when you get there; this one is truly a winner. The White River comes tumbling down an approximately 200 feet drop into a basin. With caution you can swim in the pool, the water is said to be good for the skin. Also the area is prone to flash floods.